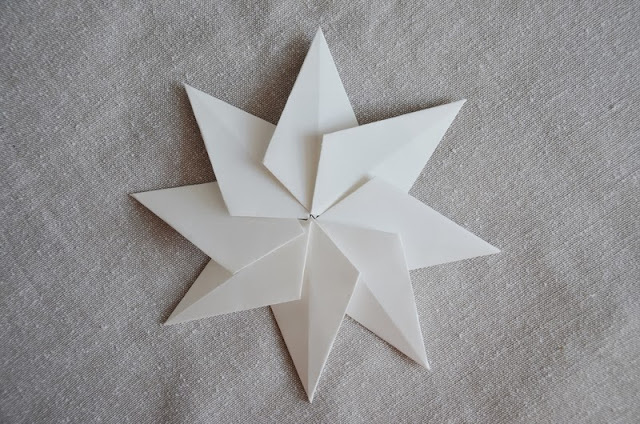 This is a paper star pattern that, since my daughter taught me to make, has become an annual tradition in our home. 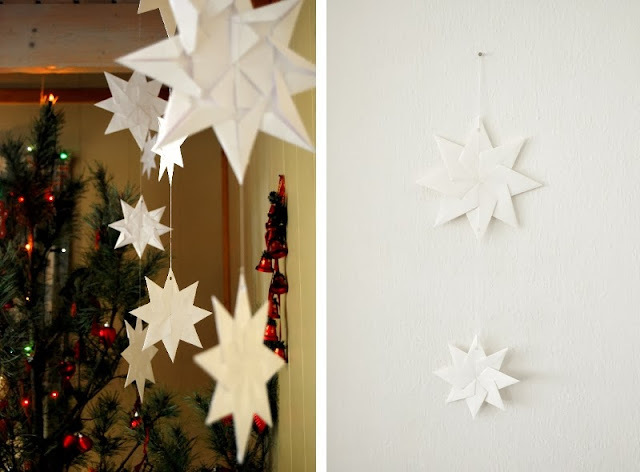 We make tens of white paper stars in early winter and hang them on thin white thread around the house. 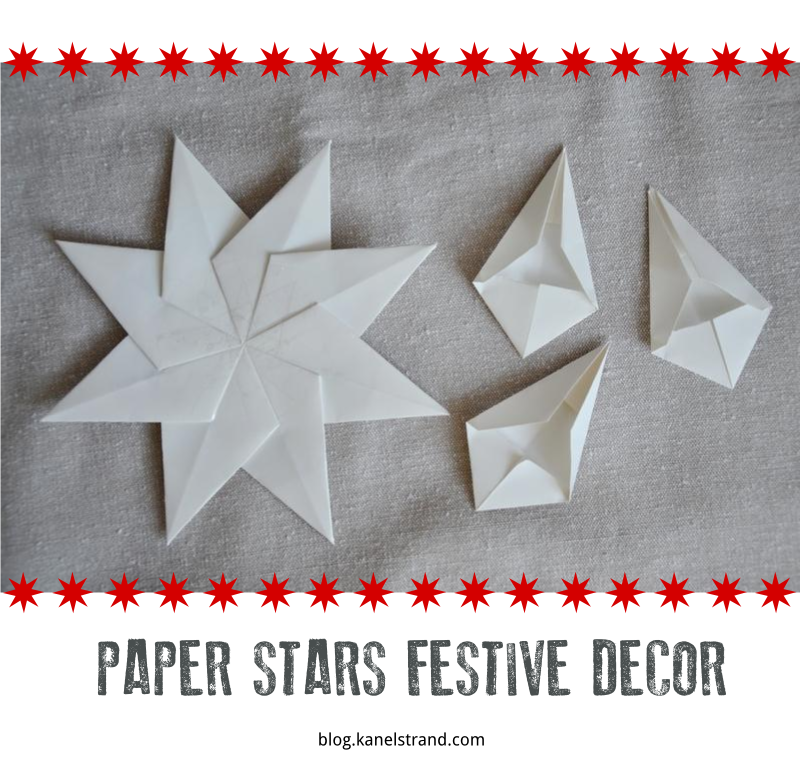 The paper stars carry the festive spirit throughout the darkest months of the year and often we don't feel like taking them down in spring. But that's quite alright because these beautiful festive paper stars look good in every season. You can make one 8,3 (21 cm) star or two 5,5 inch (14 cm) stars out of a single A4 paper sheet. Get an A4 paper sheet. Cut in half along the long side. Fold the resulting pieces in half and cut. Then in half again and cut. You will use these pieces of paper for the 21 cm star. 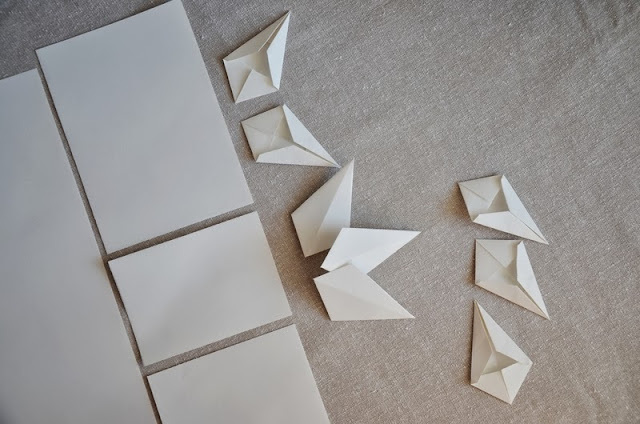 To make the smaller one, cut the paper in half once again. Follow the folds in the picture to get the resulting piece. You need 8 of them for a perfect star. 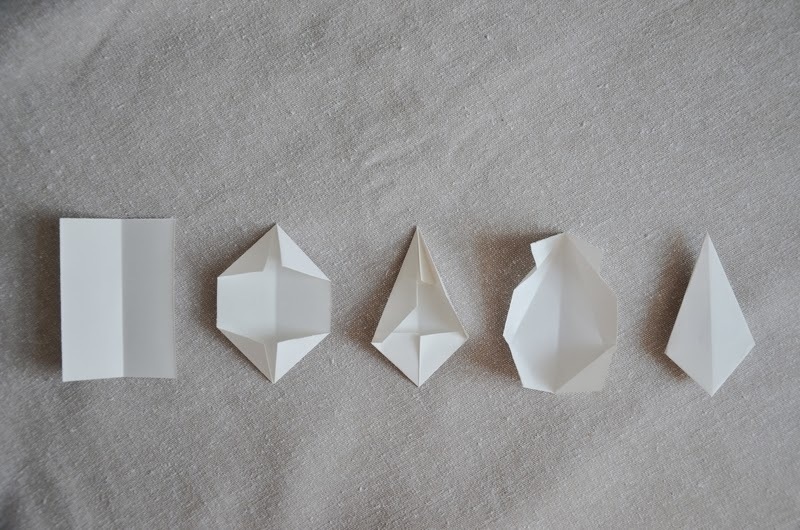 Arrange all 8 pieces by lining them along the middle fold, just like on the next picture. You can glue the pieces together or you can use a transparent tape (as I did). Punch a hole at the end of two opposing corners and pass the thread, so you can hang the stars, one under the other. Now you have a beautiful vertical garland of paper stars that will dance to the movement of air in the room. This is a fun project for the whole family! Tip: if you don't have an A4 sheet the stars will be slightly different but don't worry, they will be geometrically perfect!